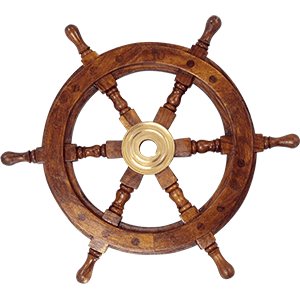 We are pleased to offer a wide range of nautical decor. 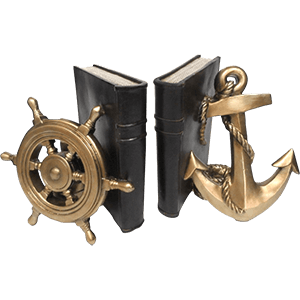 Here you will find all manner of nautically-themed items that have everything and anything to do with the ocean, but primarily, you will find items that mostly have to do with boats. 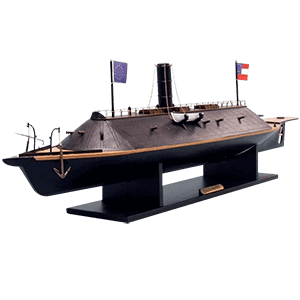 In this section, you can find a wide assortment of model ships, from Civil War model ships to Viking model ships, and famous model ships to model pirate ships. You will find our model ship selection is, indeed, quite extensive, not to mention rather impressive as well. And each one makes for a remarkable decor item. But that is not all we have. 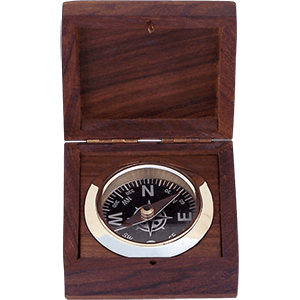 We have dozens of other nautical decor items that are nothing short of incredibly striking in appearance. 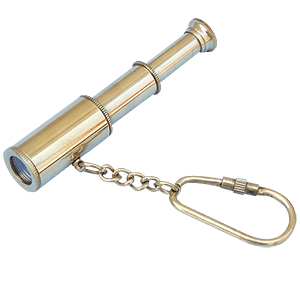 We have compasses, sextants, and telescopes, some of which are replicas and some of which are totally functional. 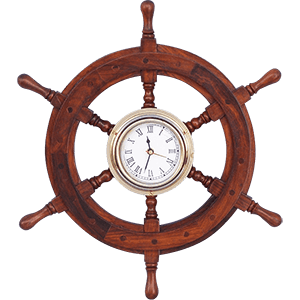 We have nautical clocks that look like ship wheels as well as actual ship wheels that you can decorate your walls with. 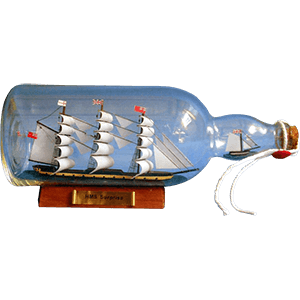 And if you are looking for something small, we have shiny nautical key chains and ships in a bottle that make quite the impressive without taking up a lot of space. 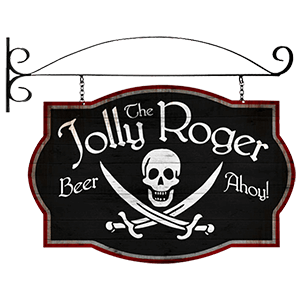 So, as you can guess, we have enough items to fill a nautically-themed room and more, and all of it is found here, within our nautical decor section. Okay, you want the big ships, you got the big ships. Or, rather, if you want the largest of ships, you can get the largest of ships here. Our large scaled ship replicas mean serious business. These model ships are nothing short of amazing. Let us start out with the sizes. 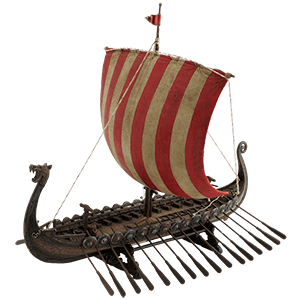 These large ship scaled replicas come in a variety of sizes, ranging anywhere from 14 inches long to a staggeringly large 50 inches long. The 14-inch model ships are the most space efficient without sacrificing impressive detail. As the models grow larger, they are able to feature more and more detail. And before any questions are asked, yes, the biggest models are incredible. 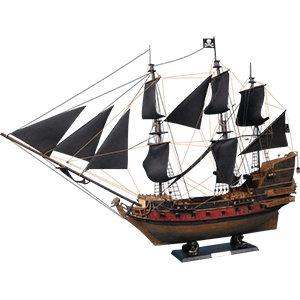 In addition to their impressive sizes, our large ship scaled replicas are each handcrafted from high quality materials and woods in a painstaking and arduous process that ensures a masterful level of detail on every piece, from big to small. And none of these ships are unnamed. Each of these tall ship scaled replicas is a recreation of an actual ship, some of which still sail the seas today. You will find historical ships, like the Nina, the Pinta, and the Santa Maria, as well as modern ships like the USCG Eagle and the Cutty Sark. 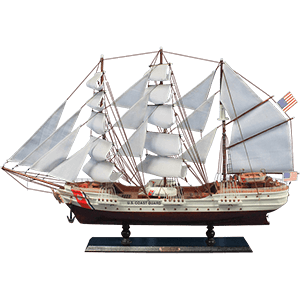 We offer replicas of war ships, like the HMS Victory and the USS Constitution, A.K.A. Old Ironsides, as well as mercantile and passenger vessels, like the Flying Cloud and the HMS Beagle. Each of these ships has a history and is nothing short of breathtaking in its craftsmanship and detail.